From architect Daniel Burnham with Charles Atwood, construction began in 1895. Upon completion in 1896, the Ellicott Square Building was considered the largest office building in the world. 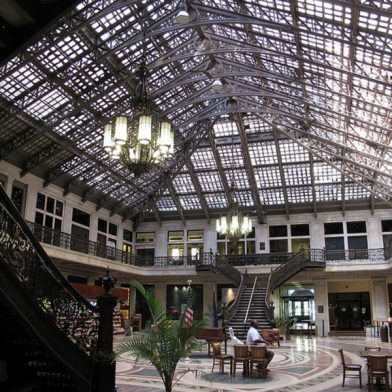 Its glass-covered concourse is one of Buffalo’s most ornamental public spaces.